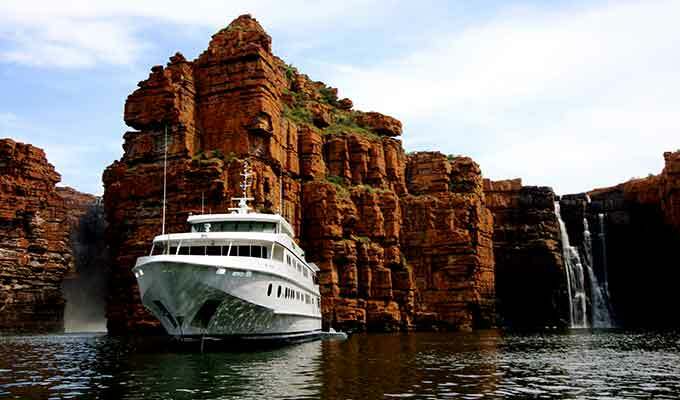 The True North offers 'flagship' Kimberley cruises as well as several other Australian cruises. 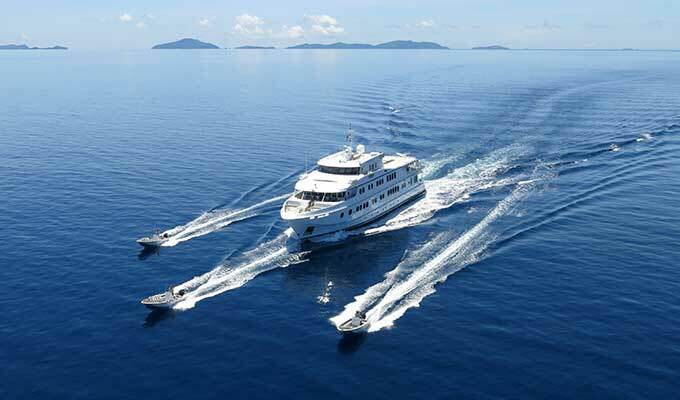 “The crew of the True North are perhaps the company's best asset. 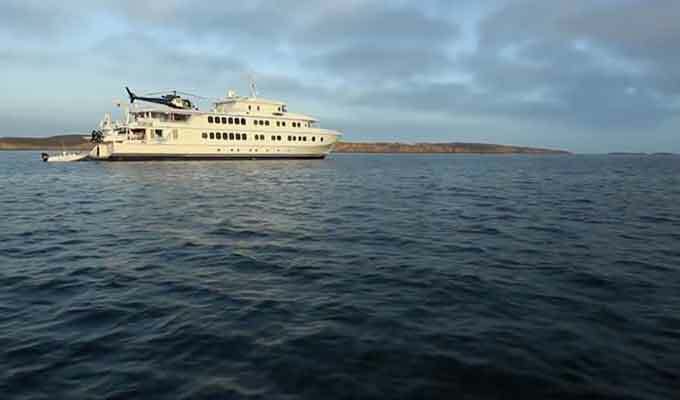 Sleek luxury yachts are rather generic, but the people taking care of you on the True North are in a class of their own. They understand the need for meticulous detail and maintaining a respectful attitude, but never allow this to interfere with larrikin humour”. Luxury Travel & Style. Multiple expedition vessels take guests in small groups to experience wilderness ‘up close’. The luxury of having numerous tenders also means that everyone on-board has greater opportunity to do “what they want, when they want”. 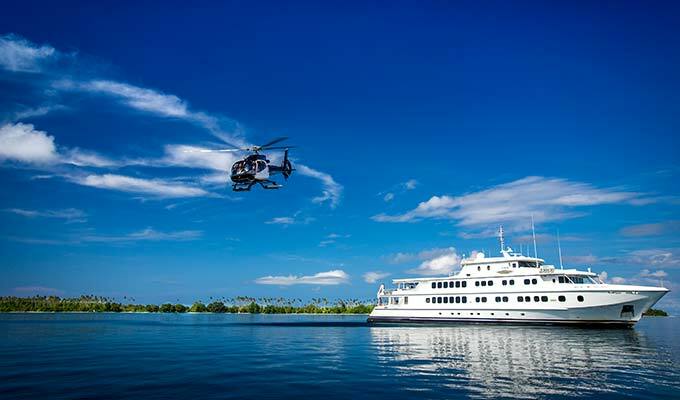 Most cruise options feature a ship’s helicopter opening-up a range of options from scenic flights and heli-picnics to overnight camping adventures. Discover virtually unseen and untouched parts of Australia. "True North - The most fantastic trip I have ever experienced." To view the full schedule on offer for 2019 and 2020, visit. The True North 'Seven Seas in Seven Seasons' sailing schedule includes some of the world’s most unique wilderness areas and daily activities can include scenic walks, helicopter flights, culture, fishing, snorkelling, picnics, diving, exploring, nature and much more. 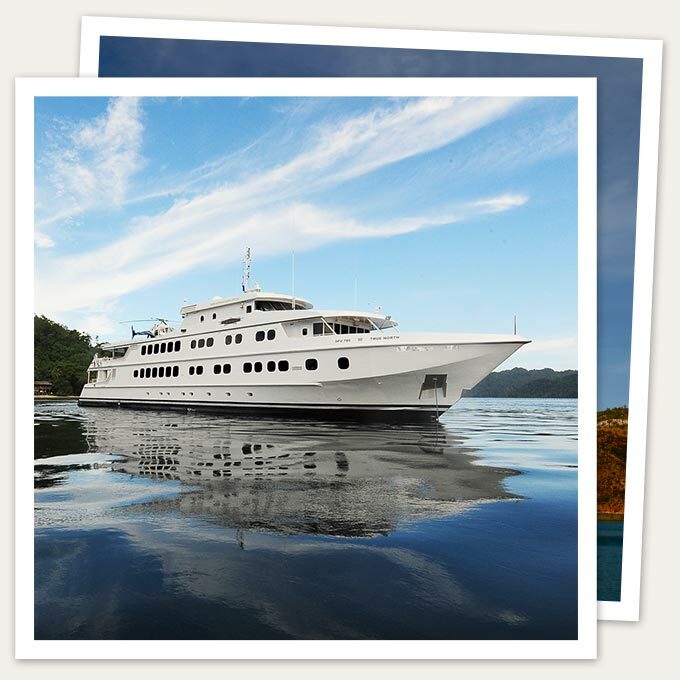 The True North's purpose built design allows access to wilderness that is well beyond the reach of larger ships. 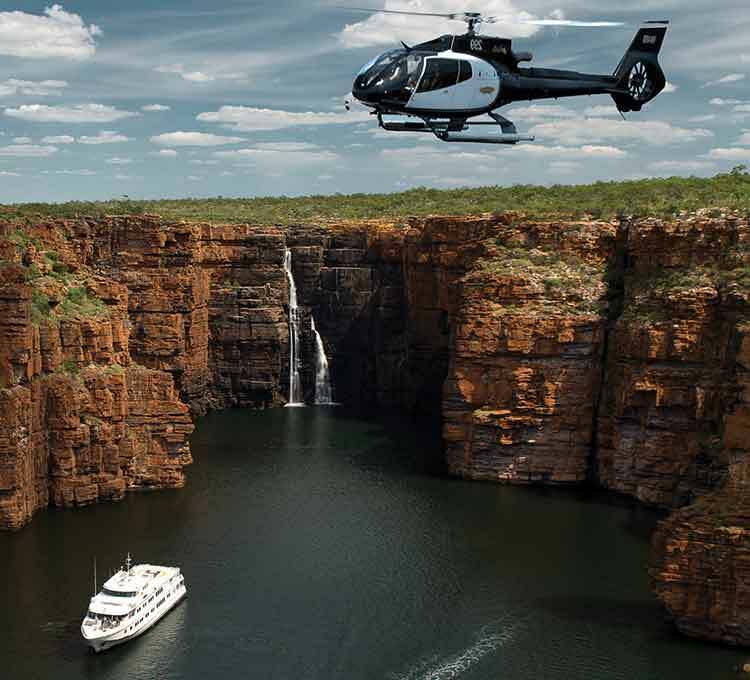 Plus, multiple expedition boats and a ship’s helicopter deliver guests to the very heart of wilderness.